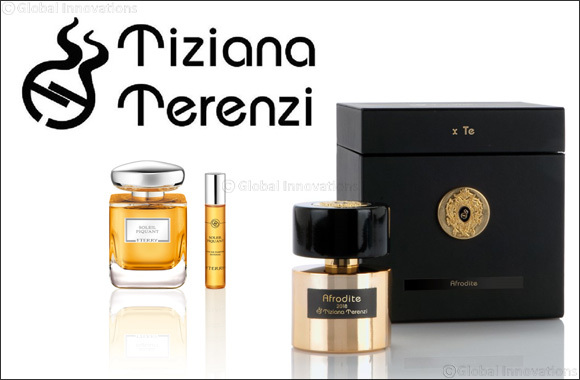 Dubai, UAE, June 27, 2018: An innovative stylistic challenge that wishes to give perfume its original scent. The selection of high quality and rare raw materials only allow a limited annual production. Each precious bottle is catalogued with the year of production. The recipe itself remains the same although, each year, it gets the sublime touch of nature. For this reason, each bottle will be a unique and collectible piece. The stylistic idea of this project lies in the pursuit of absolute purity. It is the desire to capture, without any 'artificial' interventions, the extreme style of the most beautiful things that exist: nature with its wild, majestic and impressive rules. From our lands, each year, there will in fact be a new crop of carefully selected raw materials, cultivated with care and love by expert hands. These raw materials will be macerated and mixed conscientiously following the artist's recipe to reproduce an invaluable perfume extract. The sun, wind, rain and snow will, in fact, have left their indelible and unforgettable mark on these ingredients, giving the molecules a unique character and the fragrance its own soul. Each bottle will contain the nectar of nature and will conceal its moods. All we must do is listen to them and admire them. This is the closest place to the expression of artistic integrity, far away from any possible contamination. A long-term project for those who really love perfume. It will be a joy to meet in 5 years from now and talk about the time passed including all its unrepeatable uniqueness through the VERTICAL SAMPLING of these fragrances. This creation was inspired by the marvelous Mediterranean landscape surrounded by white beaches and high cliffs, that rear up out of the transparent and sparkling waters of the sea around the island of Cyprus, mythical birthplace of the goddess Aphrodite. The beautiful goddess represents the wild and uncontrollable power of love, passion and seduction, capable of uniting and embracing elements of opposing natures, man and woman, strength and kindness, passion and sweetness. She is capable of enchanting, and of driving hearts to the most unrestrained and unconfessable feelings. Camped around a large bonfire, on the plateau next to the ruins of Paphos, where Aphrodite first appeared, we find ourselves in front of a crystalline, azure sea, enveloped by the persuasive scents and intoxicating perfumes of a lush and wild nature, as seductive and beguiling as the beautiful Aphrodite herself. Our minds are stunned by so much wonder and our senses let themselves be transported far away in ecstasy, to the lively sound of the wood crackling in the fire. The creation opens with a spicy floral aroma, with a hypnotic touch of mystery. Lilac Flowers embrace pink peppercorns and then settle mellowly on the strong sweetness of Vanilla Berries, emphasized by White Peach and White Currents. This immediate, fascinating bouquet leads straight to the depths of the inner self. It rediscovers an ancestral and primaeval force founded on the opulence of magical and bewitching flowers like Tuborosa Absolute, in counterpoint to Neroli and Iris, and in turn sweetened by the Lily of the Valley and Geranium that surround the precious seductive pheromone. A weapon as subtle and as it is powerful, capable of governing the hearts of those around us. The scent is rooted on a sturdy foundation of woods where Patchouli stands out as a powerful aphrodisiac and Ebony, softened by the delicacy of Sandalwood and White Musk, is emphasized by the sweaty note of Gray Amber which emanates a powerful pherormone of love. This fragrance embodies this enigmatic spirit of the absolute, emphasizing the contradictions expressed in the delirium of joy. It opens with the strong and distinct note of rare Ambergris surrounded by ancient Musk which releases the precious seduction pheromone and then glides seductively and rapidly towards the heart of the creation. This is a powerful instrument of attraction, accentuated again by Gray Amber, sweetened by notes of Tahitian Vanilla and enriched by the hypnotic power of Jasmine and Lily of the valley. The whole is rooted in the powerful and seductive base notes of precious Black Oudh and Madagascan Vanilla combined with the pheromone of attraction. There is no escape for anyone who has the pleasure of crossing your path and the aroma of seduction and joy that you leave behind you. This collection of exclusive essences is priceless and limited to a few examples a year. It is destined to lovers of beauty and research, whose souls are ready to experience all the emotions of life with all the courage of success and an inner strength without equal. A fragrance for a privileged few, who appreciate being unique and think outside the box. A drop of liquid emotion, nectar of the gods.